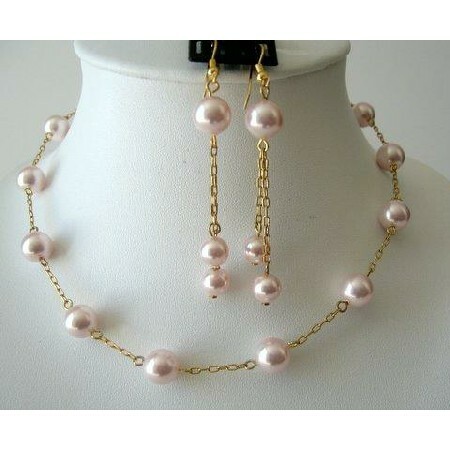 Beautifully feminine choker in Swarovski 9mm Rosaline Swarovski Pearls in 22k antique gold plated sleek & dainty chain with dangling earrings are made in 9mm & 8mm genuine Swarovski rosaline Pearls. Handmade Exquisite Set! All A Grade & Material are used to make this Choker Necklace Set this dramatically elegant Necklace adds a touch of the exotic & gorgeous & lustrous piece.